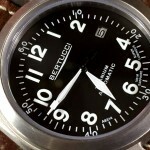 Started in 2003, Bertucci is one of the finest timepieces available on the market today. 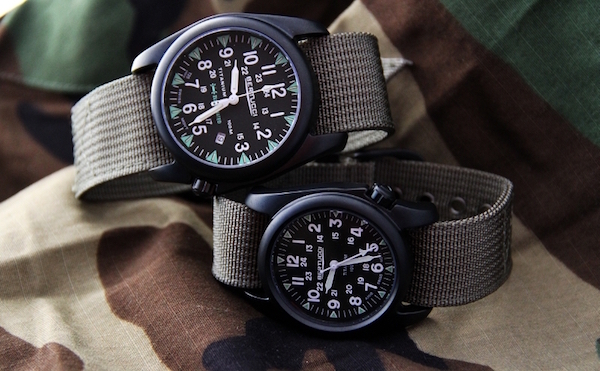 The field watch is created keeping ruggedness and refinement in mind. The watch is made to survive the day’s challenges along with you, so you can face any adversity whether it is in the field, or in your everyday life. With great design choices for you to choose from, bands that meet any situation and arms that make reading the time as easy as possible, these watches are made to help you live our life the way you want to live your life. While these watches may be understated, their ability to perform under adverse conditions is not understated in any way. 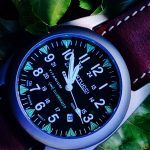 This U.S based watch company provides some of the toughest titanium field watches available on the market. With different watch faces to meet your needs in the field and beyond, you are sure to find a watch that will meet your lifestyle, so you can get more done. By combining strength and accuracy, you’re guaranteed a watch that will last as long as you want it to. The intensely strong faces will last longer than the bands, but the good news is they can easily be changed out whenever you’re ready for a new band, so you can keep using your favorite watch. Because of the ability to dress down with this finely crafted watch, Bertucci watches make it possible for you to feel comfortable, even when wearing a watch that is crafted along the same standards as some of the highest end watches available on the market today. With a growing collection you can choose from and some of the most durable watches available, you’re going to meet the watch that can take everything you’re willing to dish out. Test out the watches that are considered by many to be the best watches for someone with an active lifestyle and then get out there and have some fun. You will feel confident that you have a watch that can keep up with you without having to worry about it being destroyed.